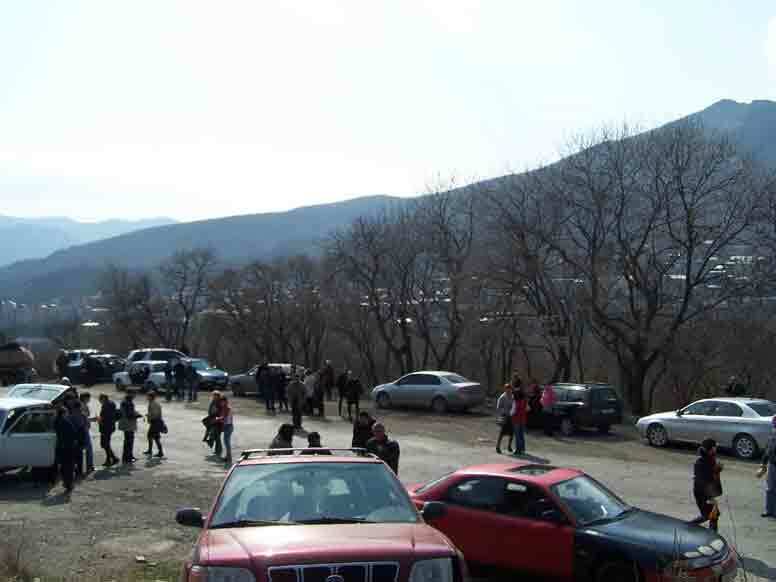 On 29 March 2012, a cleaning action was held in Saguramo within the framework of the campaign “Clean-up Georgia”. 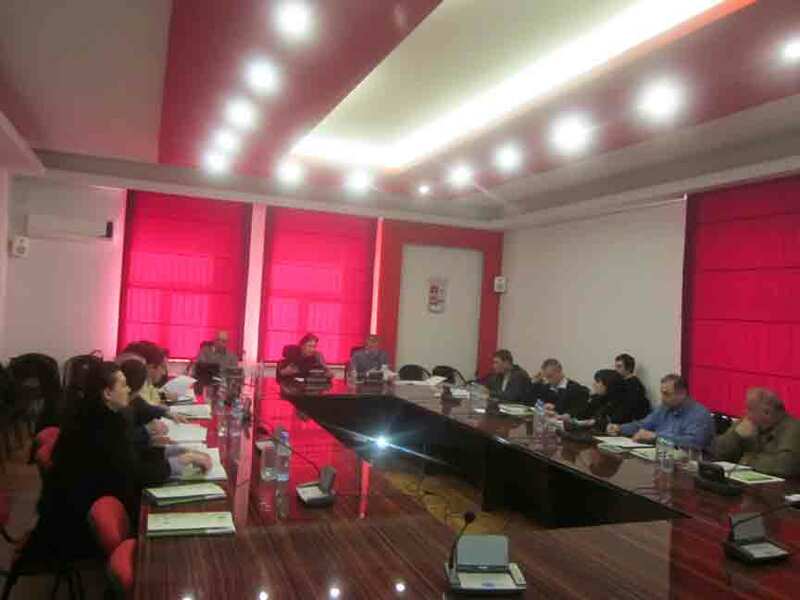 About 160 people representing the Mtskheta-Mtianeti Regional Administration, local government and self-government bodies of Mtskheta municipality, different services and youth organizations participated in it. During the action an area of 2 hectares was cleaned on both sides of the motorway, and 8 cubic meters of waste were collected, which were disposed at the existing operational landfill by communal service. 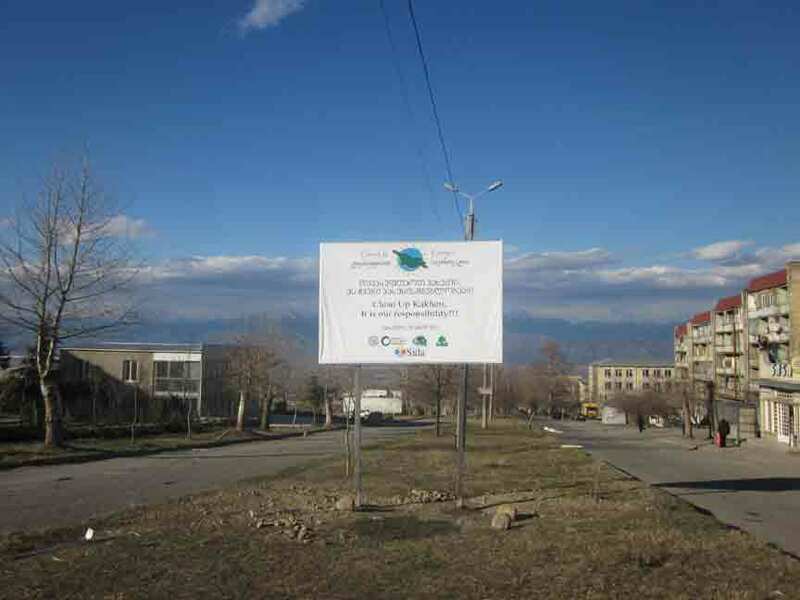 On March 24, 2012, a billboard with an inscription "Let’s clean-up the region of Kakheti, this is our responsibility" was placed on the territory adjacent to Telavi city within the framework of the "Clean-up Georgia" campaign. 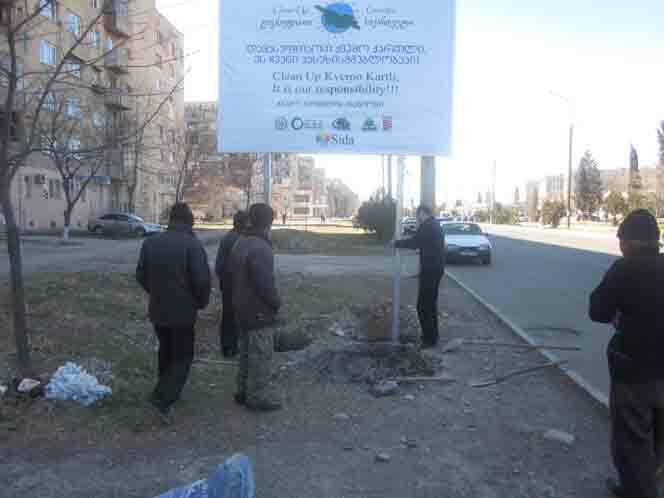 On March 23, 2012, a billboard with an inscription "Let’s clean-up the region of Qvemo Kartli, this is our responsibility" was placed on the territory adjacent to Rustavi city within the framework of the "Clean-up Georgia" campaign. 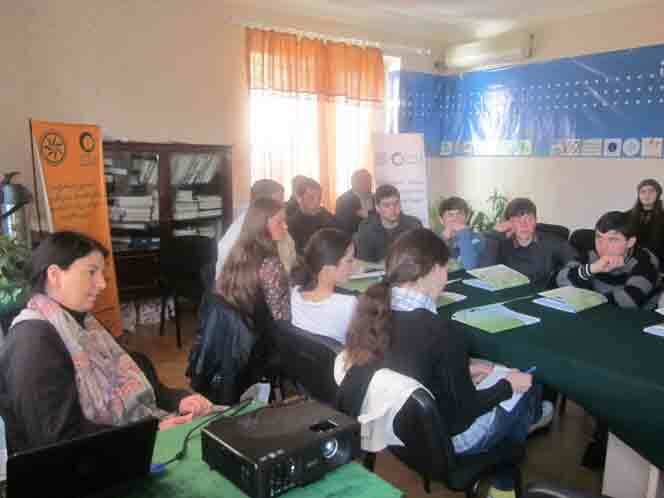 On 17 March 2010 in the framework of the project “Clean-up Georgia – Public Awareness Raising and its Involvement in the Improvement of Solid Wastes Management” a Meeting was arranged with the participation of the schoolchildren of Public schools of Tbilisi (N 63), Marneuli, Gardabani and the village of Koda the main topic of it being sustainable management of wastes. A regional seminar on municipal solid waste management was held on March 16, 2012 in Mskheta-Mtianeti Region which was attended by Ms. Diana Janse, Ambassador Extraordinary and Plenipotentiary of the Kingdom of Sweden in Georgia, Mr. Alf Eliasson, Counsellor (Swedish International Development Cooperation Agency), Ms. Khatuna Zaldastanishvili, Programme Officer (Sida), as well as the representatives of Sida Stockholm Office and the World Bank. 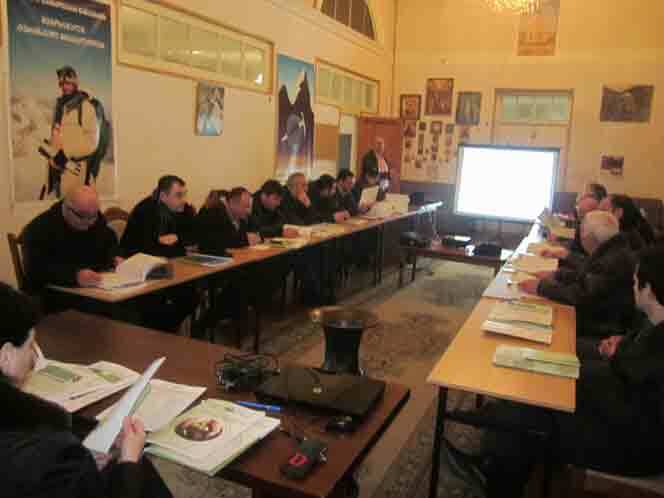 A regional seminar on municipal waste management was held on March 14, 2012 in Shida Kartli Region. Head of Department of Waste and Chemical Substances Management of the Ministry of Environment of Georgia, Mrs. Eka Imerlishvili and Main Specialist of Department of Infrastructure Development of the Ministry of Regional Development and Infrastructure of Georgia, Mr. David Chigladze attended a seminar together with the representatives of Shida Kartli Regional Administration as well as members of relevant structures of Gori, Kaspi, Kareli and Khashuri municipalities. 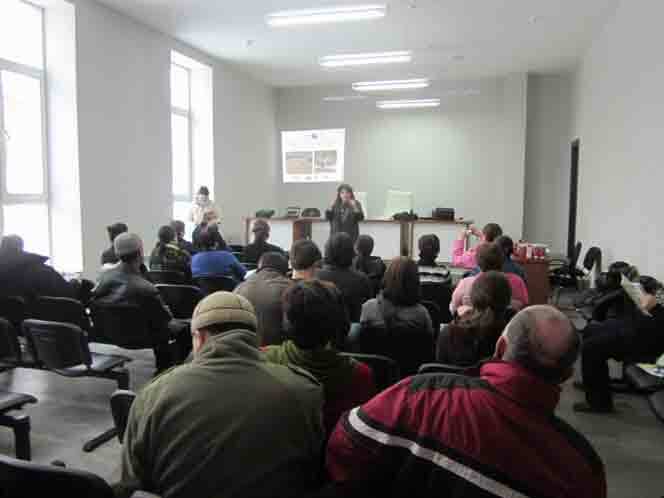 Stakeholder meeting was carried out in Mestia municipality under the project "Clean Up Georgia – Raising of Public Awareness and Involvement in Solid Waste Management Improvement" on 23 February 2012. Local government representatives, local NGOs and general public attended the meeting. 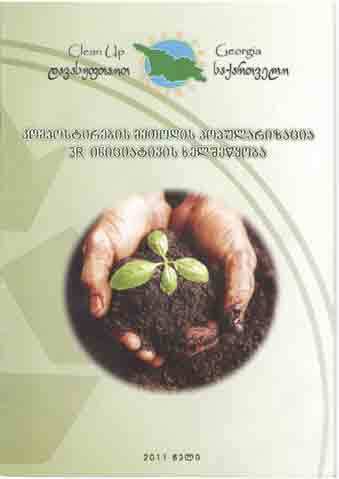 In order to facilitate 3R (Reduce, Reuse, Recycle) initiative, the booklets on Solid Waste separation, recycling and composting were published. 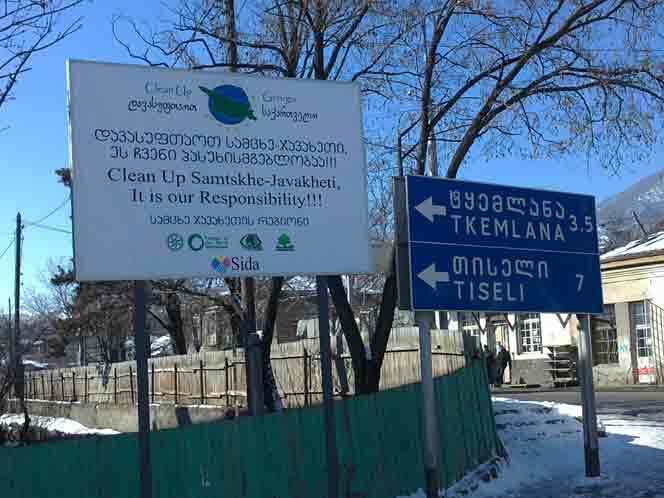 On February 1, 2012, the billboard with an inscription "Clean-Up Samtskhe-Javakheti, it is our responsibility" was placed on the territory Atskuri village within the framework of the campaign "Clean-upGeorgia". 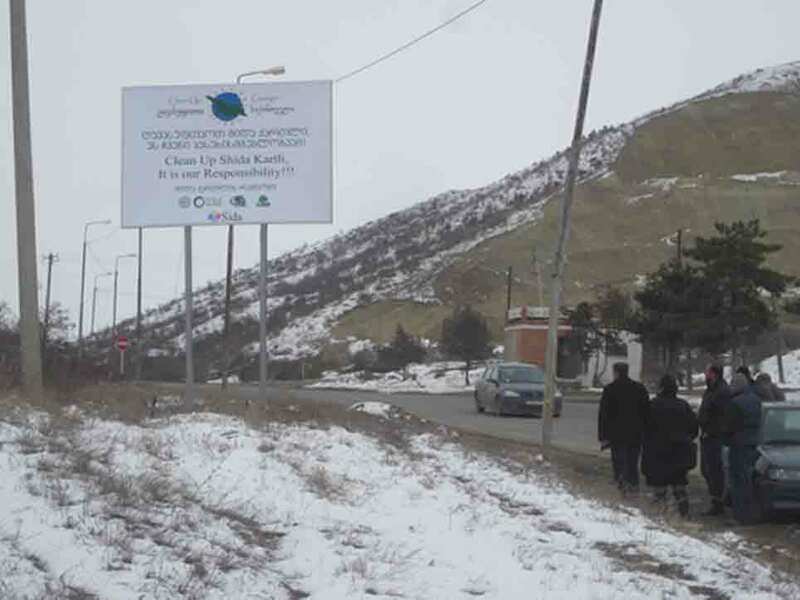 On January 20, 2012, the billboard with an inscription "Let’s clean-up the region of Shida Kartli, this is our responsibility" was placed on the territory adjacent to Berbuki village within the framework of the campaign "Clean-up Georgia". 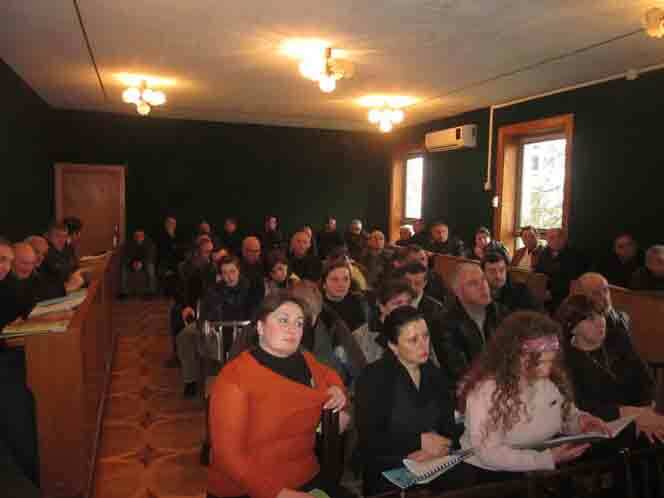 Stakeholder meeting was carried out in Martvili, Abasha, Senaki, Poti, Tsalenjikha and Chkhorotsku municipalities under the project "Clean Up Georgia – Raising of Public Awareness and Involvement in Solid Waste Management Improvement" on 16-18 January, 2012. Local government representatives, local NGOs and general public attended the meetings. On 18 January in the framework of Clean-up Georgia campaign a clean up action was carried out in Chibati village of Lanchkhuti municipality. 160 schoolchildren of Chibati Public School, members of Eco-club and 15 teachers participated in the action. During the action the school yard and about 1 hectare of its adjacent territory was cleaned up from different types of wastes, polyethylene bottles and bags; in total 5 cubic meters of waste was collected and disposed of at the operational landfill by communal service. 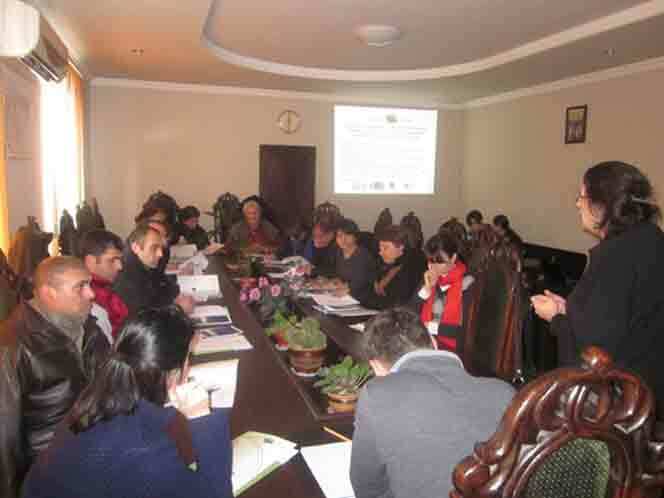 Stakeholder meeting was carried out in Aspindza, Sachkhere an Chiatura municipalities under the project "Clean Up Georgia – Raising of Public Awareness and Involvement in Solid Waste Management Improvement" on 27-29 December, 2011. Local government representatives, local NGOs and general public attended the meetings. On December 20, 2011, a clean-up action was held in Vani Municipality of the village of Amagleba, in which 50 people participated (local population, authorized representative of the village, and local youth organization). 600 m² were cleaned and 4 m³ of wastes were collected. The wastes were transported to a landfill by Vani Municipality.